Despite the constant care and attention that we pay to the site of renbukan.nl (hereinafter referred to as 'the site') it is possible that the information, products and services (hereinafter referred to as 'the information') on the site are incomplete or incorrect is. We cannot therefore give you any guarantees with regard to this. The information on the site is periodically supplemented by us and any changes can be implemented at any time with immediate effect and without any prior notice. Although we believe it is self-explanatory, we would like to point out that a visitor to the site may not make copyrighted works or other information stored in the site public or reproduce in any way without permission from Ren Bu Kan Eindhoven. This also includes the reproduction of information and or parts thereof by publication on an electronic (computer) network. Because we do not know the purpose for which you visit our site and also do not know what you will use the information for, we cannot guarantee that the information on the site or the sites to which we refer is actually suitable for the purpose for which you consult the information. In view of the above, Ren Bu Kan therefore excludes all liability for any damage, direct or indirect, of any nature whatsoever, arising from or in any way related to the use of the site, the information contained therein, the content of the sites that are referred to, or with the temporary inability to consult the site and / or the information. On this page you can download and review the GDPR-statement for Ren Bu Kan. This is unfortunatly only available in dutch. 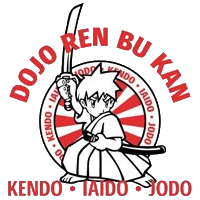 On this page you can download and review the statutes of Ren Bu Kan. These are unfortunatly only available in dutch.